The votes are in! Go to the gallery to congratulate the winners and check out all of the great submissions. Even though the competition is over, you don't stop hacking. Update your portfolio to inform your followers about new projects and get feedback from fellow makers. If you haven’t cast your vote yet for the City Mobility Challenge, there’s still time. The polls will remain open until 5pm ET on October 29th. Spread the word and tell your friends & family to vote for you! It’s your turn to pick the winner. Browse the Submission gallery and vote for your favorite app. If you entered a submission, be sure to spread the word through your social networks. The last day to vote is October 29th. The deadline is just around the corner. Apps are due October 14th before 5pm ET. Find out what time that is in your city. 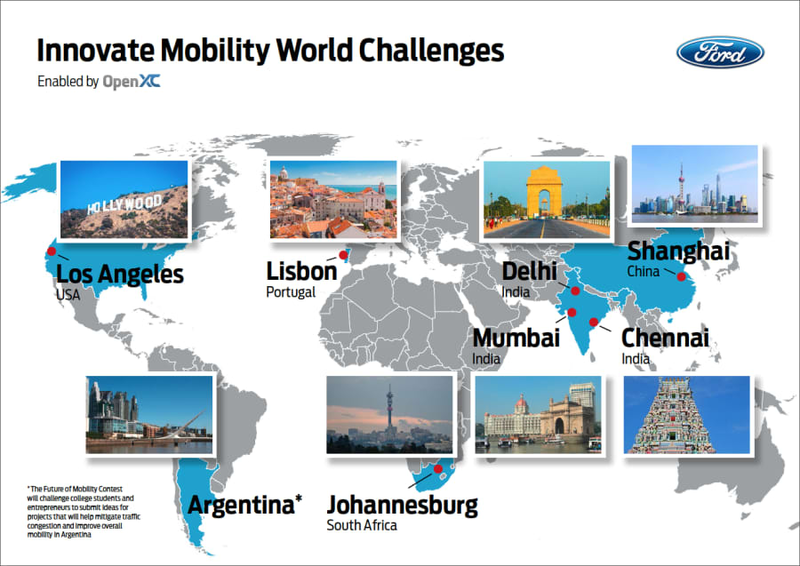 The deadline for the City Mobility Challenge is coming up soon! Submissions are due October 14th before 5pm ET. Whew, we're in the home stretch! There's only one week left to submit your app. Submissions are due October 14th before 5pm ET. Find out what time that is in your city. We're excited to announce the judging panel for the City Mobility Challenge — get ready to showcase your submission to transport and tech experts from Ford, the Technical University of Lisbon, and the International Transport Forum (OECD)! How's development going so far? Team leaders: please tell us here if you haven't already done so. Can we help answer any questions? We're here for you! Please post on the discussion forum or email us at support@challengepost.com and we'll get back to you as soon as possible. Submissions are due October 14th. We can't wait to see what you're creating to improve delivery! There are two weeks left in the City Mobility Challenge. Beat the deadline rush by getting your submission ready early. Submissions are due October 14th before 5pm ET. Find out what time that is in your city. There are three weeks left in the City Mobility Challenge. Beat the deadline rush by getting your submission ready early. Submissions are due October 14th before 5pm ET. Find out what time that is in your city. The live Twitter Q&A on "Roads of the Future" is starting soon! Join Erica Klampfl, Ford's Future Mobility Manager, for a discussion on how technology will shape future journeys — tweet your questions using hashtag #FordInnovate now, and join the live session at 6PM CET/noon ET. Note: Time was listed in CET & US Eastern Time. Find out what time that is in your city here. 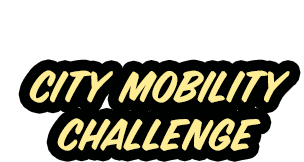 There is one month left in the City Mobility Challenge. Submissions are due October 14th before 5pm ET. Thank you for participating in the City Mobility Challenge! We're excited to see what you’ve been working on. The submission period is half over, so we thought it'd be a good time to check in and see how things are going. Thanks for joining Ford’s City Mobility Challenge — you're now officially registered! We’ll be sending you regular updates throughout the challenge. Plan your attack. Review the challenge requirements and visit the Resources page for for links to useful datasets, APIs, and more.